If you are one of our wonderful followers, please continue to follow the blog on the new page where it will be updated more regularly than ever by Mark Watson, Paul Watson and John (Non-Watson) Foster. If you fancy some non-football satire, try Extra Nonsense and if you want to hear about Paul Watson's football project in Pohnpei, we have a brand new blog here. We really hope you like the new sites and thanks for all your support. Sunderland ace Anton Ferdinand is “yet to make a final decision” over whether or not he believes in Komodo dragons, according to his agent Jeff Weston. Ferdinand has found himself at the centre of a tug of war between the ‘real’ and ‘hoax’ camps that have sprung up in the Black Cats dressing room since the arrival of noted dragon-denier Boudewijn Zenden in mid-October. Ex-Barcelona and Chelsea schemer Zenden, 33, has spent much of his career rubbishing the claims of scientists about Komodo dragons, frequently dedicating post-match interviews to his theory that they are poorly-executed animatronic crocodiles. Zenden’s ideas have found fertile ground among his new Sunderland team-mates, with Kieran Richardson and Andy Reid among those who have publicly questioned the existence of the Varanus komodoensis lizard in recent weeks. But the ‘No To Komodo’ campaign has not had it all their own way. Right-back Phil Bardsley has been handing round copies of the David Attenborough doucmentary ‘Life In Cold Blood’, which features footage of Komodo dragons in their ‘natural’ habitat. And Steed Malbranque, who claims to have seen a Komodo dragon on a visit to London Zoo in 2004, has refused to pass to his anti-dragon team-mates in training. 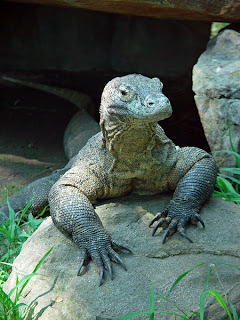 Ferdinand, 24, had until recently been considered a staunch believer in Komodo dragons. But having spent last week’s trip to Wigan sitting next to Zenden, and perusing several of the Dutch midfielder’s self-published pamphlets, Ferdinand’s position appears less clear-cut. Further controversy also rages as to whether Komodo dragons can breathe fire, as claimed by George McCartney. However, Sunderland sources have confirmed that no-one at the club listens to anything George McCartney says. Matchwinner Jon Stead brought further pleasure to Ipswich fans on Sunday by recreating Roy Keane’s vicious attack on Alf-Inge Haaland, provoking mirth from all quarters. 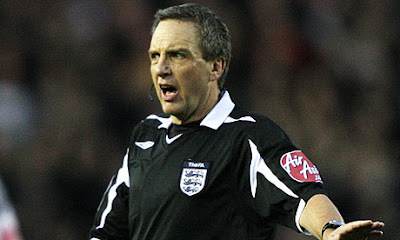 Unobjectionable utility schlub Haaland, who retired a year after volatile dog-exhauster Keane mangled his cruciate in 2001, was at the literally-named Cardiff City Stadium to promote Fibulous, the charity set up to help children whose knees have been irreparably damaged by Roy Keane. In a post-match interview Stead described his humourous celebration, which involved kicking Haaland all the way from the executive lounge down several flights of stairs and over the advertising hoardings into the centre circle, before booting him so hard he landed on his head. “Basically, the lads all made a circle and I just kicked him incredibly violently right above the patella”, chortled Stead. "We just wanted to show the gaffer we're 110 per cent behind him." 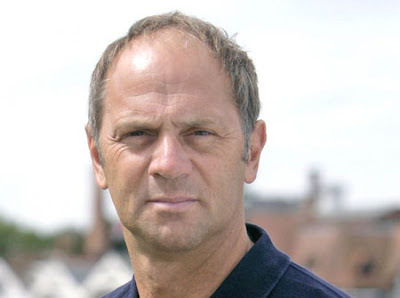 Olympic hero Sir Steve Redgrave concedes his five gold medals counted for nothing when he conspired to produce the dullest FA Cup third round draw in 98 years. Despite reservations regarding Redgrave's lack of a football background, the FA chose the towering rower to partner England women's captain Kelly Smith for the showpiece draw of this season's FA Cup. 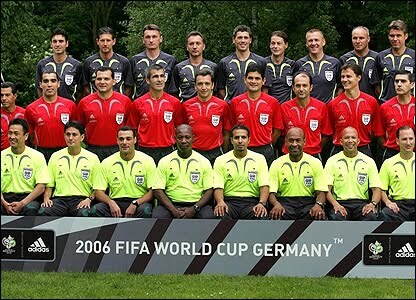 And the decision backfired spectacularly as a flustered Redgrave continually paired teams from the same division, producing a multitude of dogshit encounters such as Scunthorpe-Barnsley and Bristol City-Cardiff City. Even the crafty, devilish Jim Rosenthal stopped trying to put a gloss on the ties and audibly muttered: "Jesus Christ Redgrave, sort it out" before reading out Leicester City v Swansea City. "I thought my mighty rower's arms would see me through but I had no idea what I was doing," a stony-faced Redgrave murmured. "Kelly would tee me up with Aston Villa but all I could do was pull out Blackburn, that seemed to happen all day. There's so much more to doing the draw than I ever imagined." The FA are expected to return to safer hands of steady ex-pros for the fourth round and have announced their intention to "see what Ray Parlour's up to."